China is largely an agricultural country. 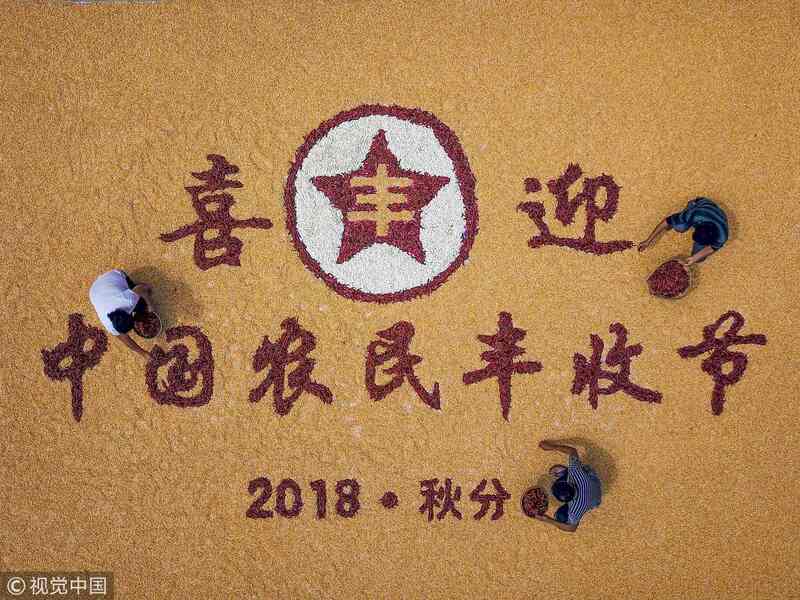 The year 2018 has witnessed the progress of its fledgling rural vitalization strategy, which was first put forward at the 19th National Congress of the Communist Party of China (CPC) last year. 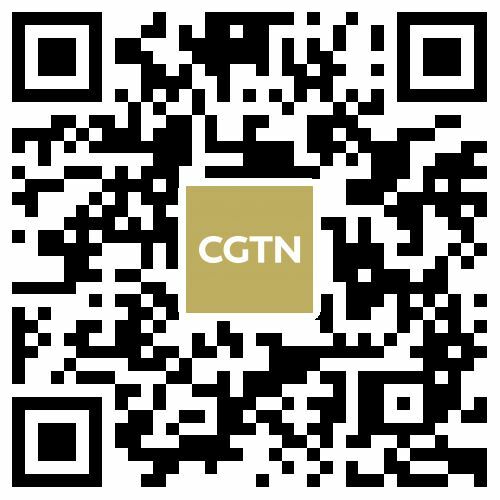 The strategy is the leading agenda for government work on agriculture, rural areas, and rural residents, Chinese President Xi Jinping, also general secretary of the CPC Central Committee, said. By vitalizing its vast rural regions, China expects to see a strong agricultural sector, beautiful countryside and well-off farmers. 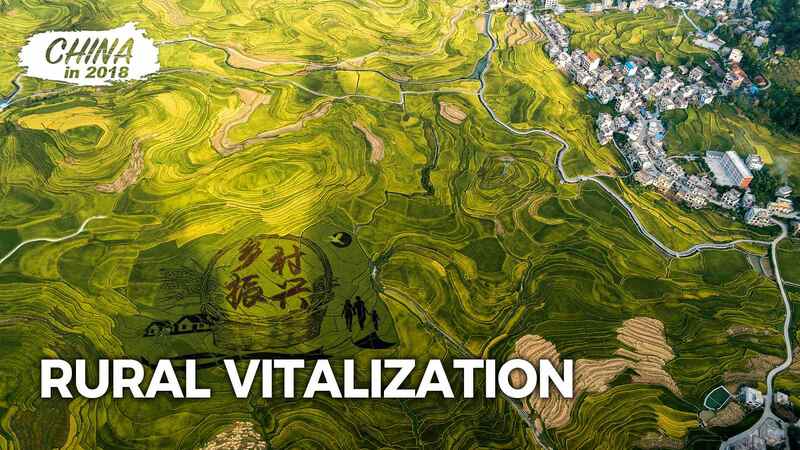 With a population of more than 1.3 billion, rural vitalization in China is a great pioneering work that has never been seen before, and there is no ready-made or replicable experience. How was the strategy implemented throughout the year? On February 4, China released a package of policies on rural work under the "No. 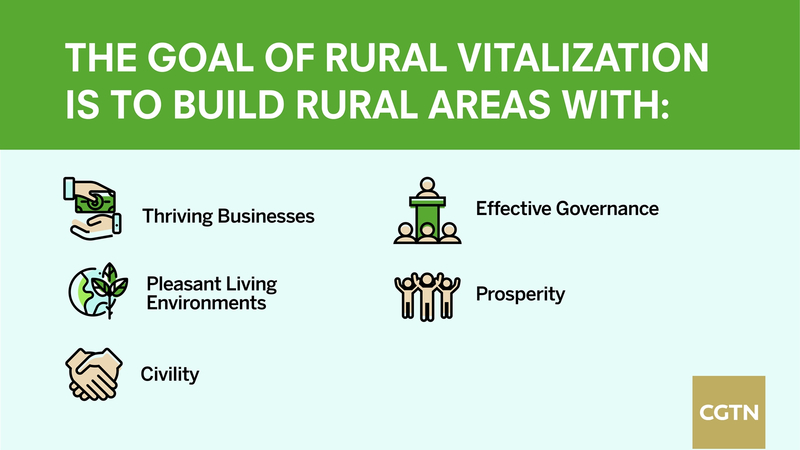 1 central document," or 2018's first policy statement released by the central authorities, charting the roadmap for the country's rural vitalization strategy. 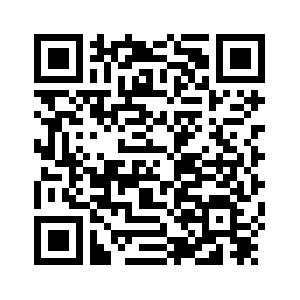 The objectives for different stages of the strategy were specified in the document. 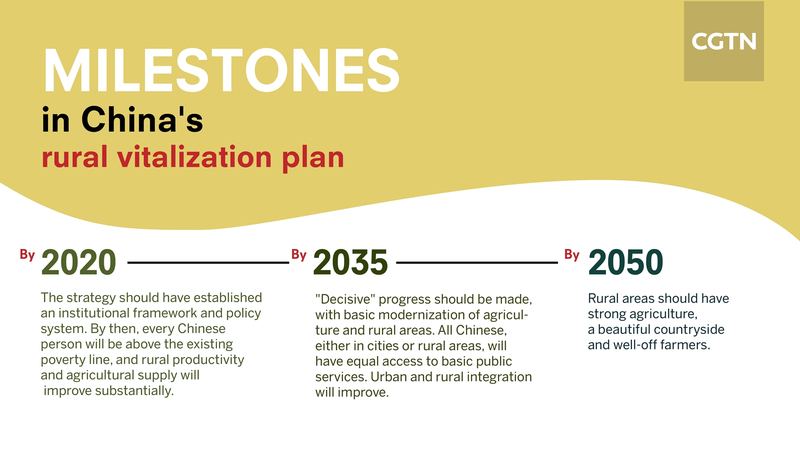 Then in September, China published the Plan for Rural Vitalization Strategy (2018-2022), detailing future rural work focus, concrete policies and measures, and arrangements for major projects and campaigns. Focusing on the factors of humans, land and funds, the plan makes arrangements on speeding up granting permanent urban residency to rural people moving to cities, strengthening talent support, guaranteeing land supply for the strategy's implementation, diversifying sources of investment, improving financial support and other tasks. But the progress has been far beyond paperwork. "For agricultural and rural work, the key point lies in increasing farmers' income," Xi said in June while inspecting Shandong, a major agricultural province in eastern China. Over the last 40 years, more than 700 million farmers were lifted out of dire poverty. The poverty rate in rural areas plunged from 97.5 percent to only 3.1 percent as of the end of last year and is expected to drop below 2 percent in 2018. China's goal of lifting the entire poor rural population out of poverty by 2020 is coming closer to reality. More than 40,000 enterprises have been paired with more than 30,000 impoverished villages, in an effort to develop local industries and slow the exodus of young talent, according to an official from China's anti-poverty drive. The Chinese government is also extending second round rural land contracts by another 30 years so as to give farmers stable expectations on land contracts and boost their enthusiasm and investment in rural work. To become not only a large agricultural country but also a strong one, China must modernize its agriculture and beautify the rural areas to boost productivity and improve people's livelihoods. China has already seen an outstanding shift in the way of farming. It currently has more than 2,500 agricultural machinery enterprises to help replace previous manual labor. 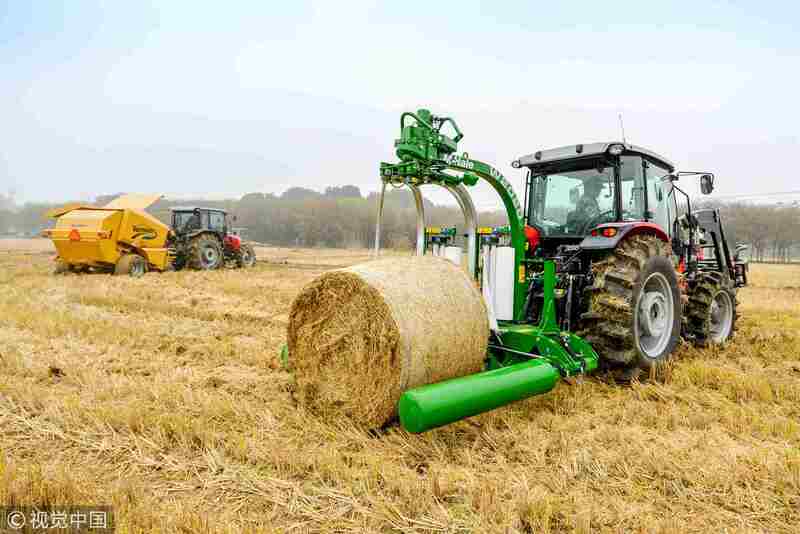 The mechanization rate in the agricultural sector exceeded 66 percent last year. China expects to expand the area of high-standard cropland by at least 5.33 million hectares, and the coverage of efficient water-saving irrigation by 1.33 million hectares this year, Premier Li Keqiang said in the government work report delivered in March. In the same report, Li vowed to improve the infrastructure of rural areas, covering water and power supplies, garbage collection and disposal, and build or upgrade 200,000 kilometers of rural roads. China has already outpaced this year's target for upgrading rural roads by renovating 250,000 kilometers of rural highways. And since June, northwestern China's Qinghai Province alone has received investment about 2.49 billion yuan (360.6 million U.S. dollars) that covered 566 projects on power grid construction and upgrading, benefiting over 300,000 residents in 38 impoverished counties. Improving rural ecology is another significant aspect of the rural vitalization strategy. Lucid waters and lush mountains are invaluable assets, as Xi repeatedly pointed out. To that end, China has implemented a three-year action plan and carried forward "toilet revolution" to improve the rural living conditions. 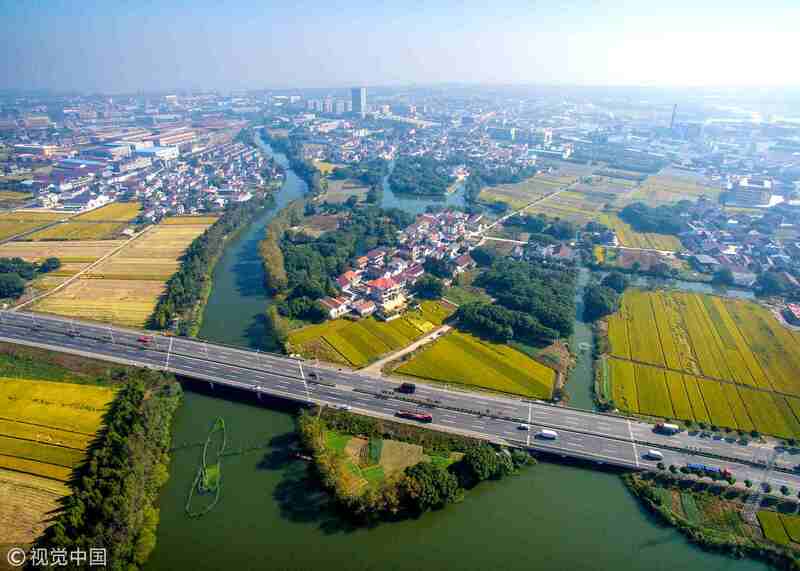 For example, 97 percent of villages in eastern China's Zhejiang Province have completed environmental overhauls after 15 years of constant efforts, creating "tens of thousands of beautiful villages." The living standards of its farmers are now at the forefront of the country. As around 70 percent of the country's tourism resources are in rural areas, China has also introduced guidelines on sustainable development of rural tourism to fully tap its enormous potential and reward residents with better-off lives. Rural vitalization is a key part of China's efforts to develop a modernized economy. As a large agricultural country, its steps towards rural vitalization won't stop in 2019.